On Thursday, Le Le the panda at the Memphis Zoo picked the Philadelphia Eagles to win the Super Bowl, in what can only be viewed as a highly scientific method that is beyond reproach. However, I have to admit, April the giraffe of the Animal Adventure Park in New York made a compelling case for the Patriots. So who do we trust? For an answer, I reached out to Ron Magill, the Goodwill Ambassador of Zoo Miami, and asked him which of the two animals above is smarter. "Things eat giraffes," Magill said. "Nothing eats a panda. They live on their own, they're independent thinkers, and they're problem solvers. 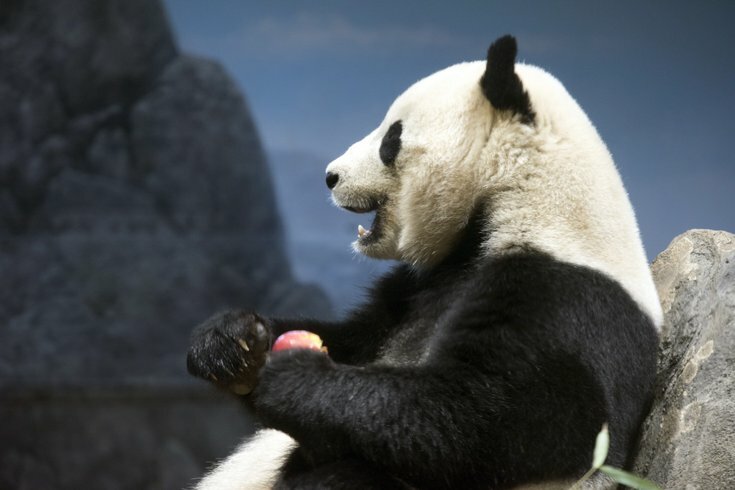 Pandas are smarter. That's not to say that giraffes are stupid. But they get eaten." I'll be making room on my mantle for my Pulitzer now, thank you very much.